Is Living In A Log Home Similar To A Conventional Home? ← What Kind of Wood is Used for a Log Home? Is Living In A Log Home Like A Conventional Home? Many believe that log cabin homes are the iconic home for homesteaders or individuals who enjoy living self-sufficient lives. Why do people build log houses? Other than the fact that they are the traditional way of home building, there are also other benefits that come with owning one. If well crafted, a log house is an outstanding piece of art. It looks good and it will look good for generations to come because they don’t run out of style. It is also easier to sell a log home than a traditional house. Log cabins especially those made from cedar logs are energy efficient. They keep the home warmer during winter so you use less energy on heating your home, and the also keep the house cooler during the summer so once again you save on the cost of keeping the house cool. Well built log houses can stay on for hundreds of years. However, how long your log cabin survives is also influenced by other factors such as how it was originally built, how well it’s maintained and quality of logs used. Irrespective of these factors, log houses generally survive longer than conventional ones. The logs used in constructing log homes are usually sealed. This makes them water resistant and are therefore not damaged by storms and other extreme weather. There are many instances where log houses have withstood earthquakes, hurricanes and harsh storms. They require regular maintenance that can get time consuming and expensive if you don’t stay up on it. They are susceptible to insect and rodent damage, but the wood can be treated to prevent this. Running wiring or tubing can be a bit more difficult, it may be harder to hide than in a conventional home. If you decide to buy, and not build your log home, you risk running into issues with the natural insulation that the wood offers, you always need to check for gaps or areas the elements could get in. Even a small breech of cold air can cause it to cost a lot to more to keep you warm in the winter! Log cabins are great whether you want to live in them permanently or just looking for a nice holiday home. While you might decide to build one yourself with the help of family and friends, it is more prudent to get professional help for the job. That way, you can be guaranteed of a solid structure that is functional and one that will serve you and many generations to come. 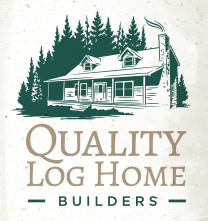 If you are looking to own a log cabin, Quality Log Home Builders should be your top choice. The company serves the entirety of North Carolina and Easter U.S. They have over 35 years’ experience in building log homes and log cabins. They know where to find the best wood and have the ability to engineer the logs to be used in construction at very competitive prices. Check out some of their work and get more information from their website. This entry was posted in Log Cabin Homes and tagged log cabin, Log Cabin Builders, Log Home Builders, maintaining a log home. Bookmark the permalink.